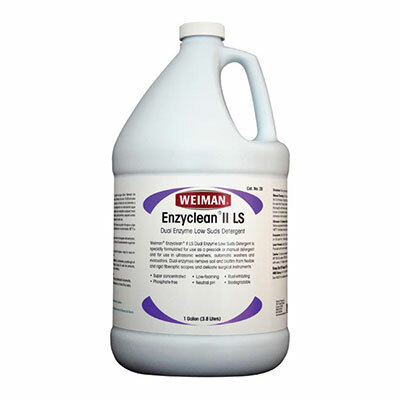 Weiman Enzyclean II Dual Enzymatic Detergent ENF1 is specially formulated pre-soak and cleaner designed to effectively and safely clean glass, plastic, rubber, and metal surgical instruments and equipment. 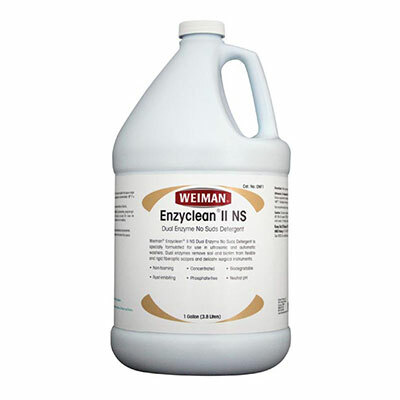 Provides one step cleaning of delicate fiber optic equipment such as endoscopes and cystoscopes, as well as other surgical instruments including those used for eye, cardiovascular and general surgery. 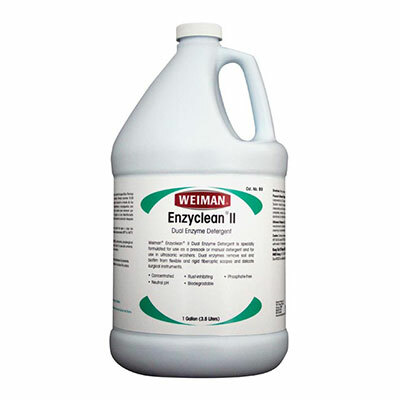 The dual enzyme formula contains two different enzymes that break down proteins and carbohydrates.